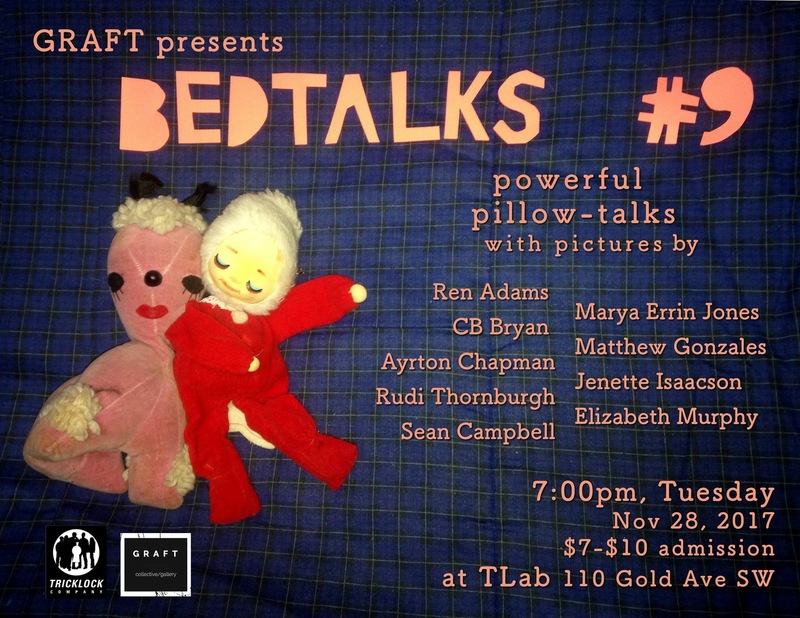 In November, I was invited to participate in BEDtalks #9, part of a series of short, powerful pillow talks from Albuquerque artists, organizers, educators, scientists, and people of interest, presented from the comfort of a twin sized bed. 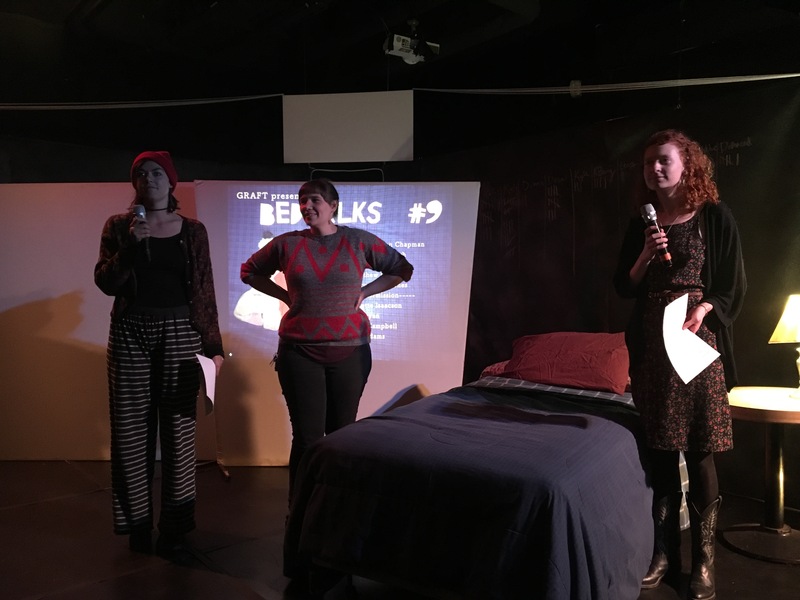 The event series is hosted by GRAFT Gallery, and the 9th installment was featured at TLab/Tricklock Theater downtown. Each speaker is given only the parameters of 20 slides in 10 minutes (a pecha kucha style, fast-paced talk). 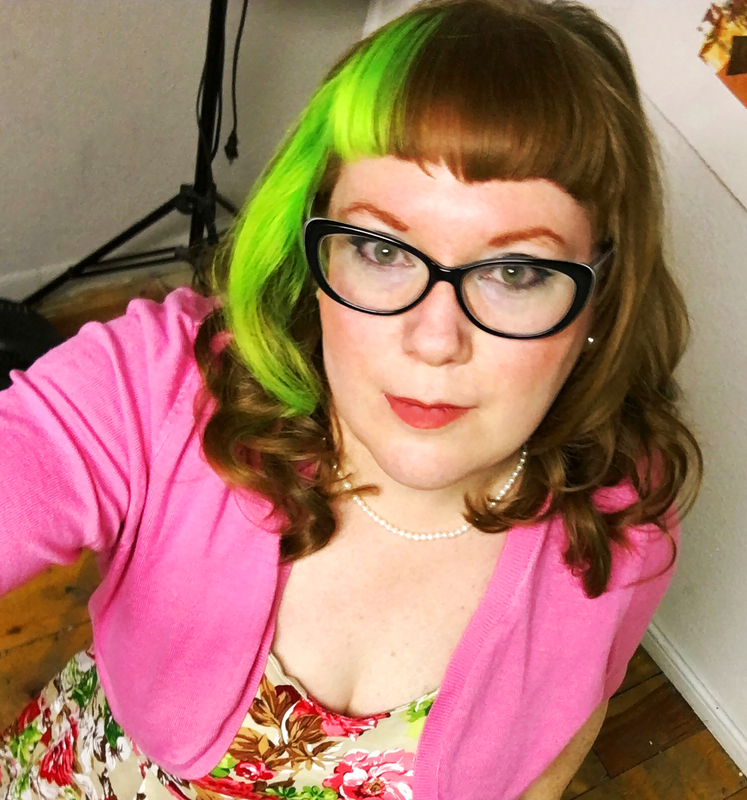 Talks range from educational to absurd, global concepts to deeply personal stories. I was so pleased to be part of the event, and I set to work creating a special, performative artist talk especially designed for the talk series, focused on my recent body of work Channeling – Televisual Memory and Media Seance (dealing with spaces of summoning, rebroadcast, loss, falling apart, media memory, possession, and media seance). Instead of a formal artist talk, I designed my slides and performance pace to suit the theater audience and environment, providing an anxious, fast-moving intensity. I even included an excerpt (reprise) of the poem, “Invocation,” which I performed during the Channeling closing event. 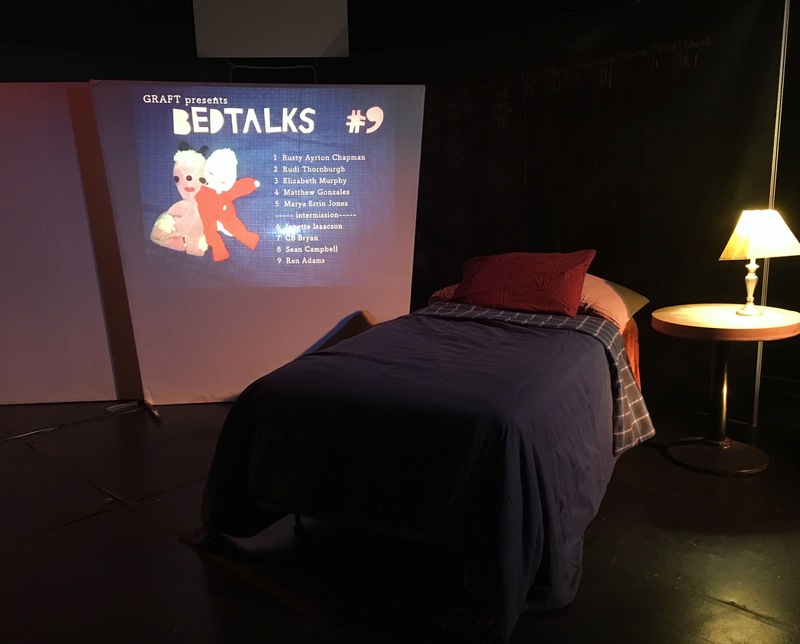 The stage was set with the odd intimacy of a public-private bedroom, which offered the perfect kind of voyeurism for my talk. Other speakers also made use of the uncanny display of public-private qualities. This entry was posted in Pieces, Shows and tagged abq, albuquerque art, albuquerque art events, art, art and new media, art talks, artist talk, artist talks, bedtalk, bedtalks, bedtalks 9, channeling, channeling exhibition, conceptual art, conceptual artist, conceptual artist talk, creatives, distance, experimental artist talk, graft, graft gallery, loss, media memory, media seance, new media art, performance, performance art, performative artist talks, ren adams, ren adams art, studio artists, talks, tlab, tricklock theater on January 2, 2018 by plasticpumpkin. MFA in Visual Art from Lesley University College of Art and Design. BFA in Studio Art, printmaking from the University of New Mexico. Primary media: digital, video, sound, printmaking, hybrid media, new media, experimental photography. I also have a degree in English (emphasis on Modernism, poetry). Professor.